New HR tools are emerging: biometrics, IoT, and digital assistance to advance HR performance. The most underutilized HR resource, and potentially the highest ROI, is people and talent analytics. Whether you’re a small to mid-sized business or a large corporation, utilizing workforce business information should be part of any comprehensive Human Resources department. This influx of technology into the office has offered HR professionals a host of data points that companies can use to determine and substantiate larger management decisions, including the ways in which they handle talent— recruitment, acquisition, promotion, retention, compensation, and more. 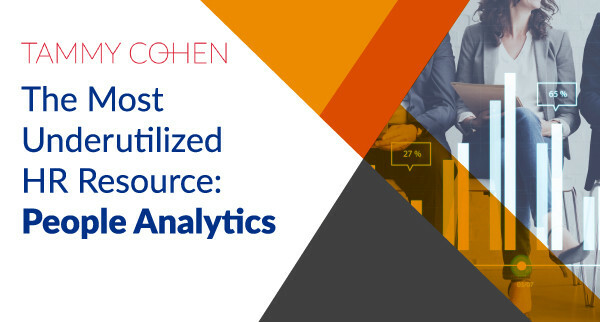 More than that, people analytics have proven to be an extraordinary prognostic tool because predictive analytics can forecast upcoming attrition rates or performance. As biometrics and the IoT become further integrated into our offices, we’ll have even more data available at our fingertips. HR analytics put muscle in the HR strategy, hiring the people who can achieve your core goals, like increased revenue, customer satisfaction, and market share. HR analytics can be the secret weapon that HR deploys to retain the right talent, which results in a measurable contribution to the core business objectives. HR analytics currently run in the background of many assessment, recruitment, screening, and development applications. All the “big data” that HR wanted and knew had potential but was a burden to use is now working in an organized fashion through AI predictive analysis. The change has occurred at a slow crawl over the past couple of years, each system upgrade boasting additional capabilities, and you might not have even noticed how it is saving you time. Besides working to help find the right people, AI is hard at work assisting employers in keeping the right people. Background screening is often thought of as a search for criminal activity, but we’re truly an industry designed to help businesses find and sustain their ideal workforce, the “right talent” to achieve overall business success. Background checks are a tool to secure the safety of a company’s people and data, however, there is a trough of information gathered in employee screening, and it’s not just information on candidates for employment; for example, through your screening program, you can track the success of recruitment tools, sources, and even the individual recruiter’s performance. Background check data can be analyzed to reveal candidate patterns and hiring trends, which could then be used to adjust how a company is seeking talent. Background check data is also a history of a company’s overall hiring practices—including everyone they have considered hiring in addition to those they’ve actually onboarded—so it’s a succinct picture of their demographics, retention rates, diversity, pay equity, and more. Stop by booth 205 to visit me and InfoMart at the KNOW Identity Conference in Washington, D.C., March 26th to the 28th.